Back in April this year, a PV research company, NPD Solarbuzz noted that emerging PV markets such as Thailand, Malaysia, Philippines, Indonesia and Taiwan are expected to lead the way in the photovoltaic demand. The five nations will account for 50% of the more than 3 GW cumulative demand in Asia Pacific and Central Asia between 2013 and 2017. Specifically, Thailand is anticipated to become the region’s largest photovoltaic market, while Indonesia is forecast to rank second by 2017 supported by its impending FiTs. But wait, the Philippines is coming strongly with its latest announcement of cumulative approved PV projects which is moving close to 1 GW this month. PV-Magazine reported that the country’s Department of Energy (DoE) is stepping up efforts to triple the nation’s renewable energy capacity by 2030. Currently, the Philippines has a renewable energy capacity of 5.6 GW and by 2030, the country hopes to reach a target of 16 GW. Department of Energy has awarded service contracts for a total of 38 PV projects in the Philippines this year, taking the country’s PV pipeline to 846.2 MW, of which 844.7 MW (34 of the projects) are grid-connected projects. 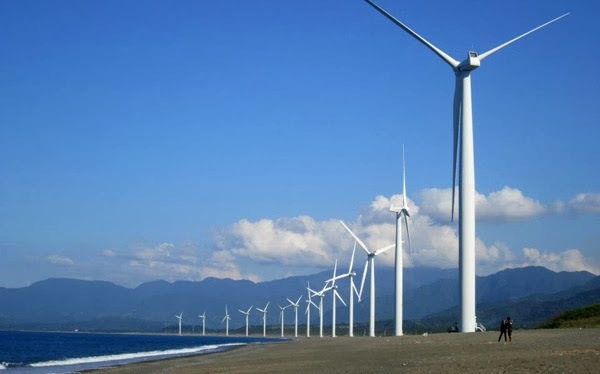 Belgium’s Enfinity renewable energy company, via its local Philippines subsidy Enfinity Philippines, has invested close to $600 million to secure contracts for 18 of the 34 approved projects, including three or four that will begin construction in early 2014. "Next year, three to four PV projects in Philippines should go into construction, but we might move faster than that. The remainder of the company’s planned 18 solar projects will be completed in the next couple of years." Another foreign industry player in the Philippines, South Korea’s Mirae Asia Energy Corp. will begin construction on a 20 MW solar plant in the Ilocos Norte region of the Philippines in January next year. In July, Mirae Asia Energy Corp. secured a certificate for the project from the DoE, and will invest $50 million in the 60-hectare project. I remember, last month, our Minister of Energy, Green Technology and Water (Dr. Maximus Ongkili) said that Malaysia is one of the earliest nations in the 10-member Asean regional grouping to implement the FiT mechanism to promote and increase renewable energy. From the available data and announcements, we seem to be at the tail end of several emerging nations in Asean group. Perhaps we are not as aggressive as Thailand, Philippines and Indonesia. Even Singapore is coming in very strongly in PV installation. Just a personal thought.